The Sears Marketplace gives online retailers a high-traffic platform—Sears.com—to list and sell their products. Sellers can retain control over the entire order fulfillment process, including shipping, returns and customer service. Whether your e-commerce business is big or small, you have the ability to get your products in front of the millions of customers who visit the Sears Marketplace every day. List your products on Sears.com, Sears mobile and Sears Kiosks in Sears retail stores. Present your items alongside Sears products, instead of on a separate website. Pick from 20 merchandise categories to group your products, including Appliances, Books, Clothing, Jewelry and more. Access an intuitive order management interface, which includes extensive analytics and reporting. Sell your merchandise on a pay-for-performance payment structure that includes a monthly fee and a small commission for any items sold. 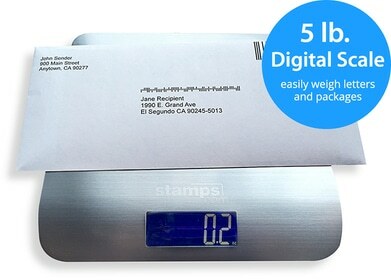 Using Stamps.com, Sears Marketplace customers can quickly import order data from Sears.com and batch print pre-paid USPS shipping labels to fulfill these orders. Stamps.com also generates shipping labels for all USPS mail classes, including international, and posts tracking information back to your Sears Marketplace account. Also, Stamps.com offers discounts on shipping rates and package insurance.